Special, private screening of the film Bedlam, presented by the Sundance Instiute. This film is not yet rated, and contains strong language. Members of the film team will be present to conduct a post screening Q&A session. We hope the film will serve as a catalyst for dialogue within the community. 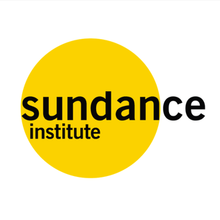 Sundance Institute Community Programs are supported by the George S. and Dolores Doré Eccles Foundation, State of Utah, Salt Lake County Economic Development Department, Peggy Bergmann, Salt Lake County Zoo, Arts and Parks (ZAP) Program, Summit County Recreation, Arts, and Parks (RAP) Tax, Utah Division of Arts and Museums and the National Endowment for the Arts, Park City Municipal Corporation, Salt Lake City Arts Council, and Zions Bank. Please arrive 15 minutes early to pick up your ticket from one of our board members. Tickets remaining by start of film will be given away. Tickets are free, but very limited quantity.